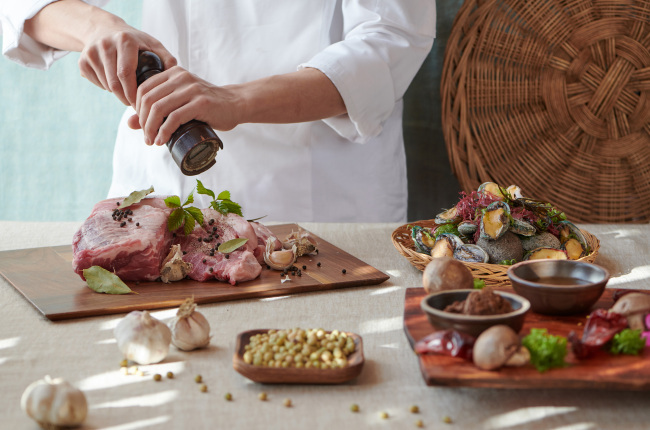 Park Hyatt Seoul’s The Lounge presents a special dinner course with the theme of “The Ark of Taste.” As the hotel has been participating in the global project of preserving regional specialties and cuisines, it is offering a set course aiming to promote Korean delicacies. For the gourmet dinner, The Lounge chose five local ingredients which have been included in the list of “The Ark of Taste”-- Jeju green soybeans, Jeju black pork, blue abalone, agar-agar and pheasant yeot. 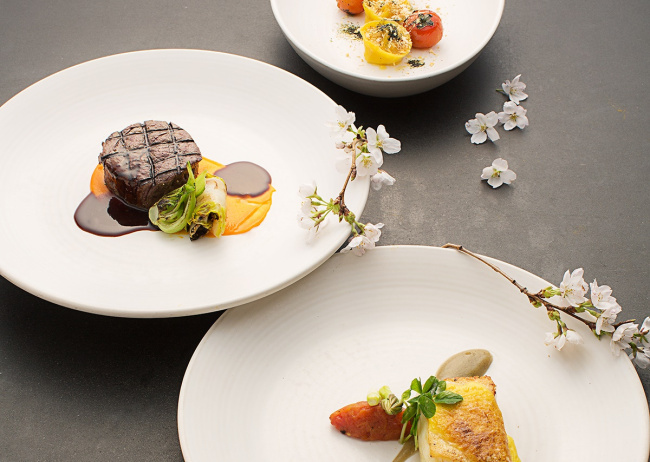 The menu will be offered from April 20 to June 5, at a price of 90,000 won. Diners can enjoy the meal from 5:30 to 9:30 p.m. For more information, call The Lounge at (02) 2016-1205. After the meal, diners can head to 37 bar at the hotel, to taste seven different kinds of seasonal spring cocktails decorated with flowers, including Blossom Martini, featuring the scent of cherry blossom. The drinks cost 25,000 won per person. Sheraton Seoul D Cube City Hotel is to host “Spring Whisper Wedding Fair” to share the latest trend of planning a romantic small wedding. 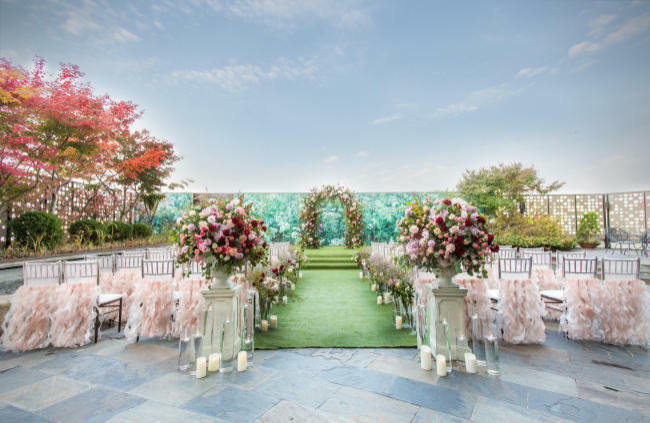 Responding to the local market’s needs, the fair’s main concept is “small and private weddings.” At the fair, three different styles of wedding ceremony will be demonstrated. While a skilled wedding concierge team is present at the hotel, the guests are welcomed to consult with other professional wedding brands, regarding the arrangement of flowers, choosing wedding dresses and making invitation cards. The fair will take place on April 20, from 7:30 to 9:10 p.m. at the hotel. As advanced reservation is necessarily required, call (02) 2211-1900 for more information. For a sweet and satisfying weekend afternoon, Millennium Seoul Hilton’s delicatessen Cilantro Deli offers an afternoon tea set, under the presence of its pastry chef. On Saturdays and Sundays, 2:30 to 6 p.m., guests can enjoy some afternoon tea, including sandwiches, boutique cakes and fruit tarts, accompanied by coffee, tea or juice of choice. 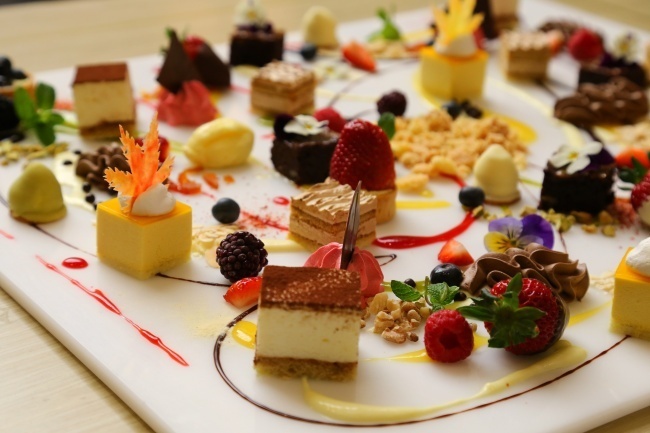 While the menu may seem ordinary, the delicatessen added a fun twist to it, by having the pastry chef prepare the foods next to the guests’ tables. The chef will plate the foods on the sides of the tables. 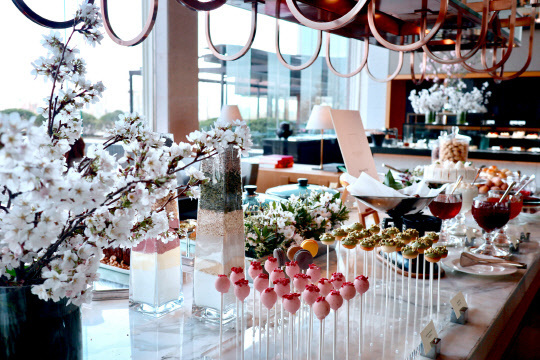 The afternoon tea is priced at 40,000 won per person. For reservations, call Cilantro Deli at (02) 317-3064.